We believe that those of us who are blessed with “enough” should give back and help those less fortunate. Chapin Hill Advisors supports a not for profit at each of their networking events. The charities receive a lot of visibility, meet the attendees and potentially add supporters, volunteers and donors. Chapin Hill donates to each of the supported charities after each event. Chapin Hill’s president, Kathy Boyle, has a personal passion for animal rescue so there are rescue organizations supported in all three networks. Kathy also supports organizations which promote health, wellness, care for children and or assistance to those in need. Founded by Jennifer Mihcoko-Tierney to help foster, train and place dogs which are all too-often languishing in local shelters. They support and pull pitbulls from the Yonkers’s NY shelter system and have a board and train facility they are building in Lagrangeville, NY. Founded in 1996 by Edward and Maya Manley and Clint Greenbaum whose children were diagnosed with brain tumors. Making Headway supports families whose children are being treated for spinal cord or brain tumors. Founded and run by Sylvie Beljanski in honor of her father, a biologist with the Pasteur Institute, the foundation promotes natural cures for cancer. Founded in 1903, Bide a Wee is the oldest animal shelter in NYC. Built by the river as unwanted pets and horses used to be brought to the Hudson to drown, BAW owns their building, has an operating veterinary clinic and two locations, in NYC and Wantagh, NY. Founded by Shelia Petersen whose family friend had a daughter, Karen MacInes, a 16-year old diagnosed with a terminal genetic disease. After months of staying in a NYC hospital over 55 miles away from her suburban home, Karen wanted to be cared for at home in her last month’s on earth. Shelia rallied the community to help offset the medical bills incurred by Karen’s family. After her death, she founded Friends of Karen to provide support to families with children diagnosed with cancer and other serious illnesses. Founded in 1971, the center provides affordable day care and early childhood education to a diverse group of children in a healthy, safe environment. Built between 1852 and 1854 as Horace Greeley’s family’s summer retreat, the historic home houses the New Castle Historical Society. The NCHS’s mission is to discover, collect, preserve and communicate the history of the town of New Castle. Rescue Right provides TNR (trap and release) services to the feral cat community in northern Westchester as well as foster, medical care and adoption for both dogs and cats. 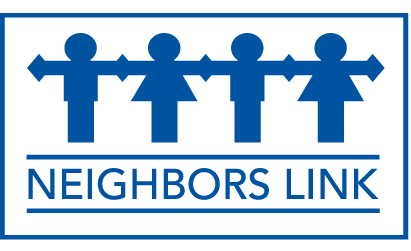 The Mount Kisco Interfaith Food Pantry offers weekly distributions, providing households with enough nutritious groceries for four days’ worth of complete meals. As a “choice” pantry, we offer clients a selection of fresh eggs, bread, frozen meats, non-perishable staples and fresh produce. Home delivery is available for residents with a documented physical or mental disability. The Pantry also offers clients comprehensive nutrition workshops, free of charge, on site. In addition, we offer assistance in registering for federal food assistance programs. A grass-roots alliance of 13 faith-based community organizations, the Pantry advocates for hunger awareness and government policies that support feeding programs. The Ridgefield Playhouse is a not for profit 401©(3) whose mission is to present a variety of performing arts to the community and the surrounding areas that they can enjoy and experience at a varied price point. The Playhouse presents national and local acts and is the cultural hub for the town of Ridgefield. After many years of planning, fundraising and building, the dream of restoring the Cass Gilbert Jr. Designed theater in Ridgefield became a reality with our December 2000 opening night performance by Jose Feliciano. 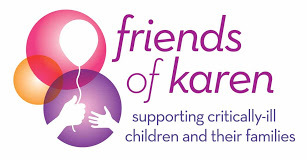 Founded in 1978, Kids in Crisis provides free, round-the-clock help for Fairfield County, Connecticut children, teens and parents of all socio-economic levels dealing with any type of crisis, including abuse, neglect, family conflict and more. Last year, Kids in Crisis served 6,192 children. Your Support of Kids in Crisis means so much to the Agency and will enable us to continue to do good and important work for children and families in crisis throughout Fairfield County, Connecticut. We hope you will make a contribution to help sustain the core programs and services that are critical to the Kids in Crisis mission. ROAR was founded on the simple principle that we would provide animals in need with the same love, car and compassion we show our own family pets, Since we opened our doors in 2005, we have placed almost 4,500 neglected and unwanted cats and dogs in caring homes throughout Ridgefield and our surrounding towns. But our mission does not end at our shelter’s door. ROAR’s staff and volunteers are also committed to enhancing the remarkable bond between people and pets through our education and outreach programs, enriching the equality of lives throughout our community. For example, ROAR is a presence in schools at all levels, sharing information about the rewards and responsibilities of pet ownership and working with student groups in developing ways to “give back” to animals in need. Located on 149 acres of state-protected land, the Woodcock Nature Preserve includes a pond, wetlands and 3 miles of publicly accessible woodland trails. The Center is home to a variety of living local and exotic creatures including snakes, frogs and lizards. We also house a handful of injured birds of prey. The Preserve is a haven for aquatic life and a remarkable variety of birds. Along our trails you’ll find historic stone walls and stands of old maple, beech, oak and hickory trees. An Everglades-style boardwalk allows rare access through part of the rich, abundant wetlands nestled in the woods. In these graceful surroundings, young and old can experience the rich, renewing world of nature. Our woodland trails are open to all, sunrise to sunset, everyday of the year. Here at the “Barn”, we are celebrating 51st season providing quality live theater to Ridgefield and the surrounding communities. Our heated, air-conditioned theater offers a comfortable, intimate setting with cabaret seating for most events. We have handicap accessible restrooms and a comfortable reception gallery on the main level. Doors open one-hour prior to curtain and seating is cabaret style with our audience members invited to bring their food and beverage of choice to enjoy before the show and during intermission.